Support the People of Afghanistan and Pakistan in the Face of Imperialist War and Fundamentalist Retrogression! Sudan: the Year of Peace or Renewed Civil War? Rome: Mode of Production or Empire of Plunder? Can Social Work change anything? Guinea: Fall of Another Dictator? 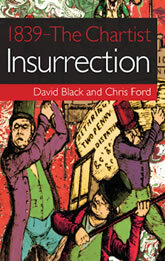 The British Trade Unions – Slow Death or Radical Rebirth? Cultural Diversity Or Cultural Oppression? Neocons, Political islam and the Alleged Death of Class Politics. Staying Out of the Swamp - For a 'Socialist United States of Europe'. Marxism and the 'Party' by Raya Dunayevskaya. Review of Jacques Camatte's This World We Must Leave. and Loren Goldner's 'Amadeo Bordiga Today'. This site contains archived articles from The Hobgoblin -- A British Journal of Marxist-Humanism, which appeared in print from 1999--2005, then as an online publication from 2005-2012 (ISSN 2040-0047). In 2012, the Hobgoblin Collective, which is affiliated to the International Marxist-Humanist Organization (IMHO), decided to merge the journal with the International Marxist-Humanist, the new online journal of the IMHO. An alternative to capitalism means ending production for value, creating a humanist mode of production, establishing a new non-state form of governance, and building freely associated human relations. Breaking with the law of value is the necessary condition for the possibility of the formation of a truly new society, as value production subordinates human beings to things and distorts human relations. We must theorize such an alternative now. Marshaling our intellectual resources toward articulating an alternative to capitalism has become even more imperative since the fall of state-capitalism that called itself “Communism” and the prevailing notion, including among many in the Left, that an alternative to capitalism is not possible. Giving shape to what is possible in a new, post-capitalist human society remains the historical task of Marxism. 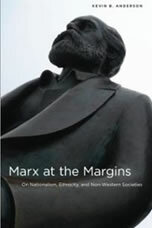 The totality of Marx’s Marxism, as developed from 1841 to 1883, provides the foundation for working this out. In particular, we stand on the philosophical new beginnings articulated in Marx's 1844 Humanist Essays, especially the "dialectic of negativity as a moving and creating principle,” as well as on the whole of his critique of political economy and of the value form of production—from the Communist Manifesto (1848), to the Grundrisse (1857-1858), to Capital (1867-1872). We also base ourselves in the multicultural writings of the late Marx on gender and non-European societies, especially the Ethnological Notebooks (1879-1882). We see Marx's vision of a new society in the Critique of the Gotha Program (1875), as well as Capital and The Civil War in France (1871), as philosophical foundations for the non-statist liberated society of the future, and as indications of how to get there. Inseparable from this, we consider Marx's organizational practice and principles, especially in the Critique of the Gotha Program, as important ground for organization today. Marxist-Humanism’s historical-philosophical contributions over the course of more than half a century provide direction for meeting this challenge today. We have opposed all forms of capitalism, including when it took the form of state-capitalist regimes that called themselves Communist. We supported the Montgomery Bus Boycott of 1955-1956 at the same time as we celebrated the Hungarian Workers Councils of 1956. We opposed imperialism, colonialism and neo-colonialism in the U.S.'s wars and its militarist outreach to every corner of the globe, from the Vietnam War to the Contra War against the Nicaraguan Revolution. We supported the liberation struggles of nations and peoples, including from past and current single-party Communist states. Because we had supported the Iranian Revolution of 1979, while denouncing the anti-women, anti-youth, and anti-labor fundamentalist takeover, we supported Iran’s 2009-10 mass democratic upheaval. We have also supported the Arab revolutions of 2011, while pointing to the dangers stemming from their internal contradictions as well as imperialist entanglement. We oppose reactionary forms of anti-imperialism, whether in the form of religious fundamentalism, narrow nationalism, or military-populism. We opposed the first Iraq War of 1991 while at the same time supported the freedom movement of the Kurdish people. During the 1990s, we supported Bosnia-Herzegovina's struggle for a multiethnic society in the face of Serbian genocide, the struggle of Chiapas in the face of globalized capitalism, and the independence movements of Kosova. Since the September 11, 2001 attacks we have opposed the U.S. doctrine of permanent war while supporting both the antiwar movement and the freedom struggles of Iraqi, Iranian and Afghan women. We have supported the Palestinian national liberation movement while also supporting Israel’s right to exist, given the fact that two peoples with the right to self-determination lay claim to the same lands. In opposing this capitalist, racist, sexist, heterosexist society, we strive to foster the firmest unity among the forces of revolution and opposition to the established order: Rank-and-file workers; Blacks, Latino/as and other oppressed minorities and indigenous peoples; women; Lesbian-Gay-Bisexual-Transgender people; and Youth. The Black masses in the Americas, Africa and Europe occupy a special place of significance since they have stood in the forefront of the fight for freedom—from the earliest anti-slavery struggles in Europe and the Americas to today’s civil rights and anti-racist movements. In challenging the Achilles heel of Western civilization—racism—the Black dimension has proven itself to be the vanguard of freedom struggles in many parts of the world. We also support oppressed minorities around the world while combating all forms of ethno-religious discrimination, from anti-immigrant demagoguery, to Islamophobia and anti-Semitism. 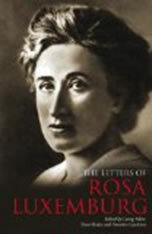 Women’s liberation is one of the great international historic movements. In the modern era, the dehumanization of workers by capital has been accompanied by the dehumanizing of women by patriarchal forces. The Women’s liberation movement has challenged sexism not only within existing society, but also within the Left. Women’s struggles for freedom show that feminism is renewing itself for a new generation, not only as force but also as reason. Youth are an especially important source of revolutionary transformation, since their idealism in opposing existing society brings them alongside the other revolutionary social forces as builders of the new society. These subjective forces, whose revolutionary potential resides in their coalescence, pose important challenges to the dominance of capital—especially as they reach for a philosophy of liberation to give their struggles a direction. In contrast, tendencies such as post-modernist thought and pragmatism, which reject a unifying philosophy, cannot fundamentally challenge the realities of globalized capitalism. But an adequate response to these alternatives cannot be based on forms of post-Marx Marxism that allow particularity and difference to be skipped over or ignored. New human relations, what Marx articulated in 1844 as a “thoroughgoing Naturalism or Humanism,” can be achieved when we restate, develop, and concretize Marx's Marxism for our time as a dialectical, critical concept of "revolution in permanence." That creative dialectic needs to spell out what we are for, and our positive humanist vision, rather than the mere rejection of the present capitalist order, a rejection that lacks such a dialectical "positive in the negative." We aim to participate in all freedom movements and their organizations. We reject the elitist vanguard party form of organization for revolutionary struggle or constructing a new society. We also recognize that our committee form of organization is not a model for all movements, but is rather a vital historical form of organization that movements have continuously embraced, as seen from the Arab Spring and the Occupy Wall Street Movement. At the same time, we hold that the decentralized form of organization that has been adopted by revolutionary groupings, including by ourselves, is insufficient so long as it remains separated from dialectical philosophy. We hold that Raya Dunayevskaya’s 1953 “Letters on Hegel’s Absolutes” and her notes for an unfinished book on “Dialectics of Organization and Philosophy” offer crucial direction for working out the unity of philosophy and organization for our life and times. Dunayevskaya’s “trilogy of revolution”— Marxism and Freedom, from 1776 until Today (1958), Philosophy and Revolution: From Hegel to Sartre and from Marx to Mao (1973), and Rosa Luxemburg, Women’s Liberation, and Marx's Philosophy of Revolution (1982)—as well as American Civilization on Trial: Black Masses as Vanguard (1983; orig. 1963), spells out the philosophic content of Marxist-Humanism internationally. 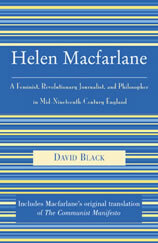 Marxism and Freedom, structured on the movements from practice to theory that are themselves forms of theory, re-established Marxism in its original form as “a thorough-going Naturalism or Humanism,” from 1844 to Capital; Philosophy and Revolution traced out the integrality of philosophy and revolution historically and disclosed the passion for a philosophy of liberation that is the distinguishing mark of our era; and Rosa Luxemburg, Women’s Liberation, and Marx’s Philosophy of Revolution disclosed the importance of Marx’s writings on new paths of revolution in the developing world and on man/woman relations. 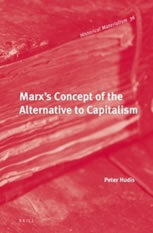 Most of all, it called for a critical re-examination of the relationship among spontaneity, organization, and philosophy in critically assessing the contributions as well as shortcomings of such important post-Marx Marxists as Lenin, Luxemburg, and Trotsky. These works address the critical question facing us today—can humanity be free, given the numerous soured and unfinished revolutions of the past 100 years? 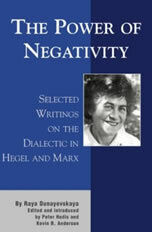 Members of the International Marxist-Humanist Organization have kept Dunayevskaya’s books in print since her death in 1987 and published The Power of Negativity: Selected Writings on the Dialectic in Hegel and Marx by Raya Dunayevskaya. 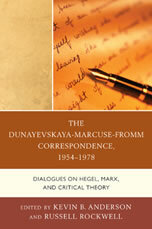 Our members have also added a supplementary volume to The Raya Dunayevskaya Collection. The International Marxist-Humanist Organization aims to further develop and concretize this body of ideas for our time. Those who choose to join us do so by accepting these principles. They are required only to carry out decisions that the members have arrived at by majority vote through a free and open discussion. Others who are not members are welcome to join us in our activities and to submit material to our publications. 1) The entire membership of the International Marxist-Humanist Organization shall be the highest decision-making body of the organization. 2) All decisions affecting the IMHO will be made by a vote of the membership, based on the principle of majority rule. 3) Membership shall be a privilege among freely associated individuals. Acceptance of membership carries with it acceptance of responsibility to carry out and loyally support decisions commonly arrived at by the majority. 4) A Convention of the IMHO will be held no less than once every two years, to which every member will be invited. Any member or group of members may submit resolutions, constitutional amendments or discussion material to a Convention. All votes taken at the Convention will be made on the basis of the principle of majority rule. The decisions of the Convention shall be binding on all members. 5) A Steering Committee shall be elected by the membership by secret ballot. It will be the coordinating body of the IMHO when not in Convention. The Steering Committee will be dissolved as of the opening of the Convention, and a new one will be elected at the conclusion of a Convention. The Steering Committee will consist of an odd number of members, no less than three and no more than seven, drawn from at least two countries. The Steering Committee shall meet at least once a month and make minutes of its discussions available to all members. 6) The Steering Committee shall issue a Call for Convention at least 90 days before the date that is set for one. Resolutions and discussion material shall be presented to the membership at least 30 days before the Convention to permit the fullest discussion by the membership. All members, as of the date of the Call for Convention, will have voice and vote at the Convention. 7) Two-thirds of the membership may at any time call for a special Convention that would then be conducted under these rules. 8) Individuals who wish to join the IMHO must apply in writing to the Steering Committee, which will then put the application before a vote of the entire membership, based on the principle of majority rule. Groups or organizations that may wish to affiliate with the IMHO must have each individual member of such group or organization vetted for membership in the IMHO. 9) Individual members or a group of members may take different views from those adopted by the IMHO, and seek to change the positions or perspectives of the IMHO, in which case they are free to state their own views in public. When articulating such differences in public, members must make it clear that their views differ from that of the organization; and the position of the organization must be stated, fairly and accurately, either by that individual or another member. 10) Membership entails actively participating and sharing in the work of the IMHO and helping to build it, to the best of one’s abilities, mentally and manually. Membership entails responding to organizational communications from the elected bodies in a timely manner. 11) The members in any particular city or locale can invite non-members to work or participate with them in their discussions, or to exclude those whose conduct would hurt or be detrimental to the interests of the organization. 12) Where members belong to political organizations other than IMHO, this must not cause a conflict of interest with their membership in the IMHO. 13) Members shall respect the confidentiality of internal communications. 14) Members shall contribute no less than $5 per week for the employed and $1 a week for students and the unemployed or their equivalents in local purchasing power in other countries. 15) Members shall vote as individuals: any grouping of members, either formally or informally constituted, shall not require the individuals in such a grouping to vote as a block within IMHO. 16) Members may be expelled for proven charges of class collaboration, sexism, heterosexism, racism or chauvinism against Blacks or other oppressed groups. Any charges against a member must be presented to him or her in writing, in detail, at least 72 hours before the charges are heard by the IMHO. The person so charged shall have the opportunity to defend himself or herself against the charges before the Steering Committee. He or she shall also have the right to appeal to the Steering Committee and/or to the next Convention. 17) Members shall be dropped from membership for failing to carry out the obligations of membership, such as by refraining from working to build the organization, failing to respond to organizational communications from the elected bodies, or failing to pay dues. 18) Former members who have been dropped or expelled and who wish to re-apply for membership shall be accepted only after passing through a satisfactory probationary period of three months. 19) This Constitution may not be altered or amended except by a two-thirds vote of the membership.